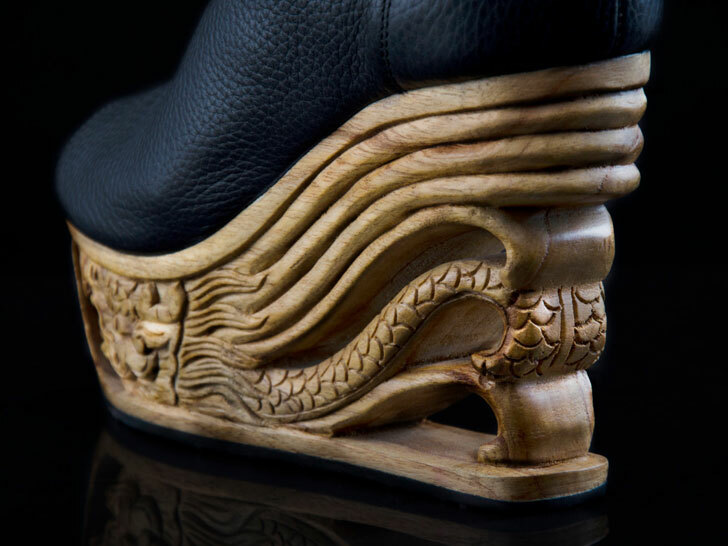 <p /> If there's one item of clothing that deserves to be branded "wearable art," it's these exquisitely carved heels from <a href="http://www.saigonsocialite.com/">Saigon Socialite</a>. 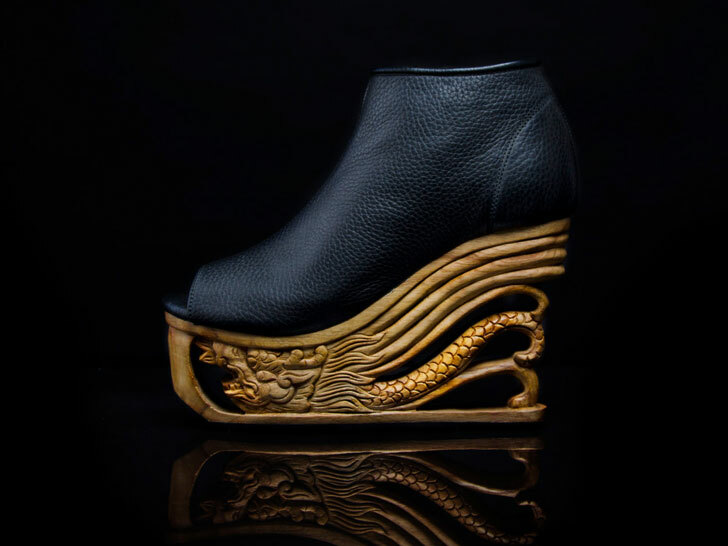 Melding French leatherwork with the ancient Vietnamese art of pagoda carving, the shoes are the brainchild of LanVy Nguyen, the Vietnam-born, Calif.-raised founder of <a href="http://www.fashion4freedom.com/">Fashion4Freedom</a>. 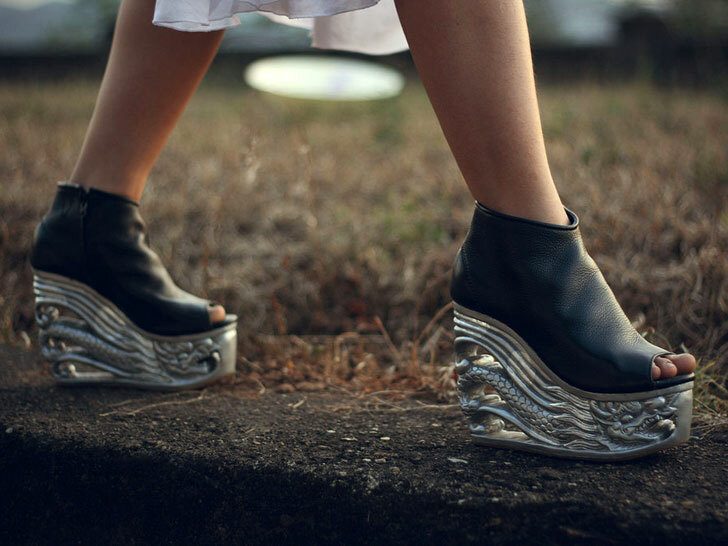 Nguyen founded the social enterprise with the goal of alleviating poverty through ethical manufacturing and the preservation of ancestral craftsmanship. 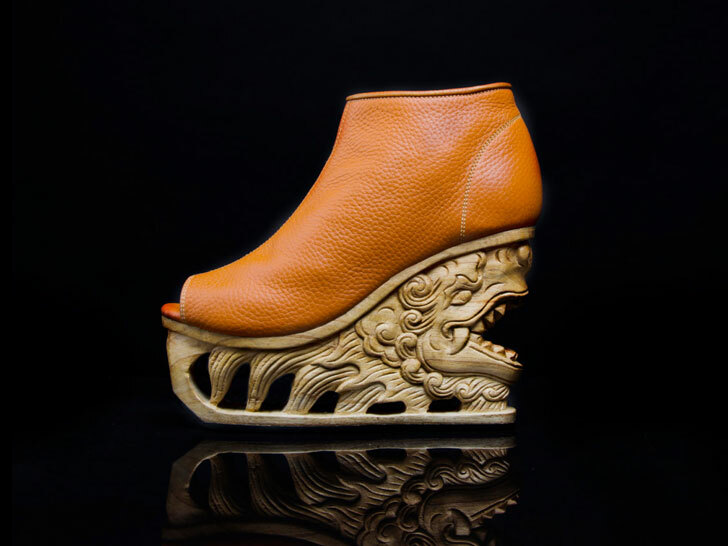 Despite their modern context, the so-called "reincarnated soles" abide by cultural mores. <p /> For one thing, you won't find a four-tailed dragon on any of the heels. Because the motif is reserved for high-ranking pagodas, Saigon Socialite's carvers substituted a three-tailed version, typically used to embellish door frames, instead. 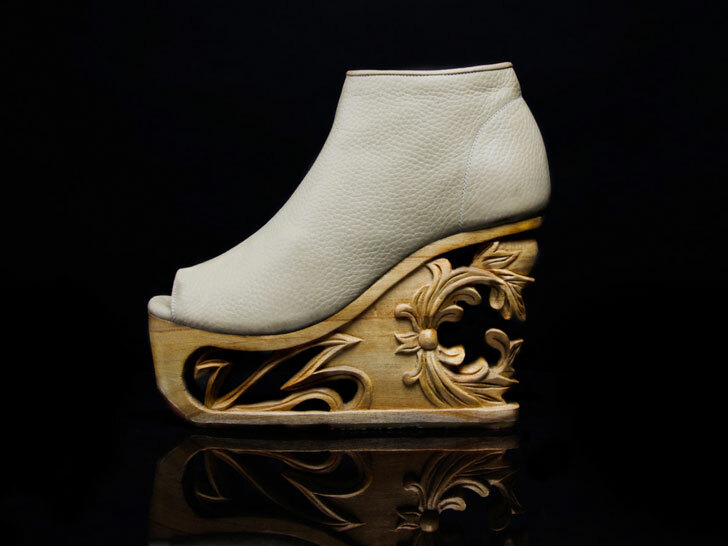 <p /> Each wooden sole takes 12 to 14 days to block, bake, and carve, depending on weather conditions. <p /> After the cobblers affix the leather uppers—a process that takes another two days—the shoes return to the carvers for finishing. <p /> "The ancient art of pagoda woodcrafting in Vietnam stretches back over 1,000 years but is today in decline due displacements from prefabrications," Nguyen writes on her website. "By instilling modern ingenuity within ancient craftsmanship, Fashion4Freedom pays homage to the longevity and resourceful collaboration that builds traditions." 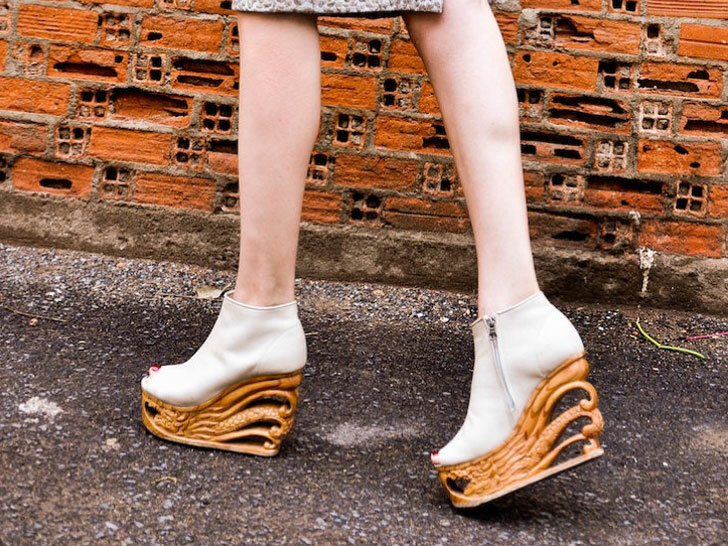 <p /> Saigon Socialite, according to Nguyen, limits its production to 2,000 pairs of shoes each year. Once the quota is achieved, artisans are encouraged to give back in ways such as imparting their skills. <p /> All profits go toward education, rehabilitation, and skill building for the disenfranchised. "Global demand for “chic and cheap” fashion means that 1.7 million factory workers and countless bonded laborers in Vietnam alone are perpetuated in poverty and inhumane working conditions," Nguyen adds. "Social change is realized when exploited laborers are able to lift themselves out of poverty."